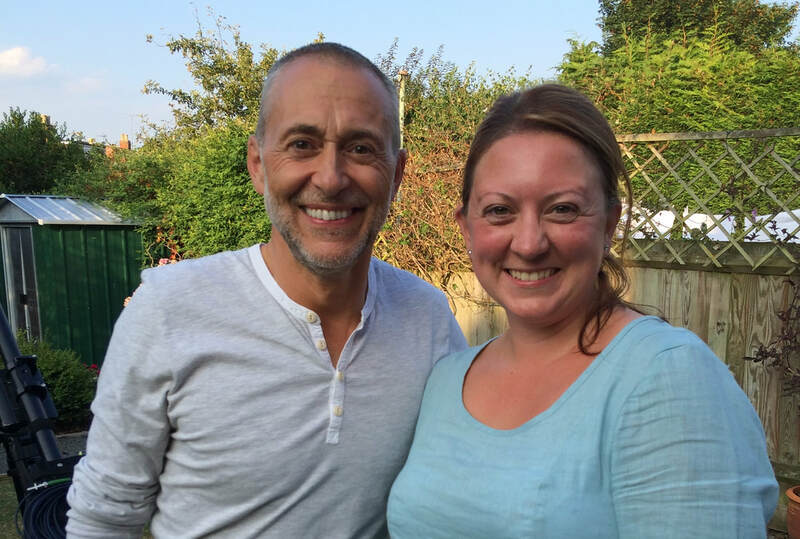 ​The most common question I get asked about Hidden Restaurants with Michel Roux Jr is how I managed to get on primetime TV. The second most asked question is whether Michel is as nice as he seems on TV (if possible, he is nicer) and the third is what he smells like (while I’ve met quite a few celebrities I have never sniffed any of them). The short answer is that the production company called me. The long answer is that I spent six months working so hard on building my brand that I suspect the stress triggered the autoimmune disease I have struggled with for the last two and a half years. Gloucester Studio was about six months old and I was having some issues with the local planners. I had achieved some great PR and early bookings were going well but I was operating on a temporary license. The planning issue had forced me to think carefully about whether running a restaurant was what I really wanted to do. Deciding that yes, this was something I really wanted to continue with meant making some proper plans. I had built my Kota Hut out of a need for somewhere to work in my garden and had called it my studio. Because I sent a press release within a couple of days of the idea for using it as a restaurant, I had simply added the location. 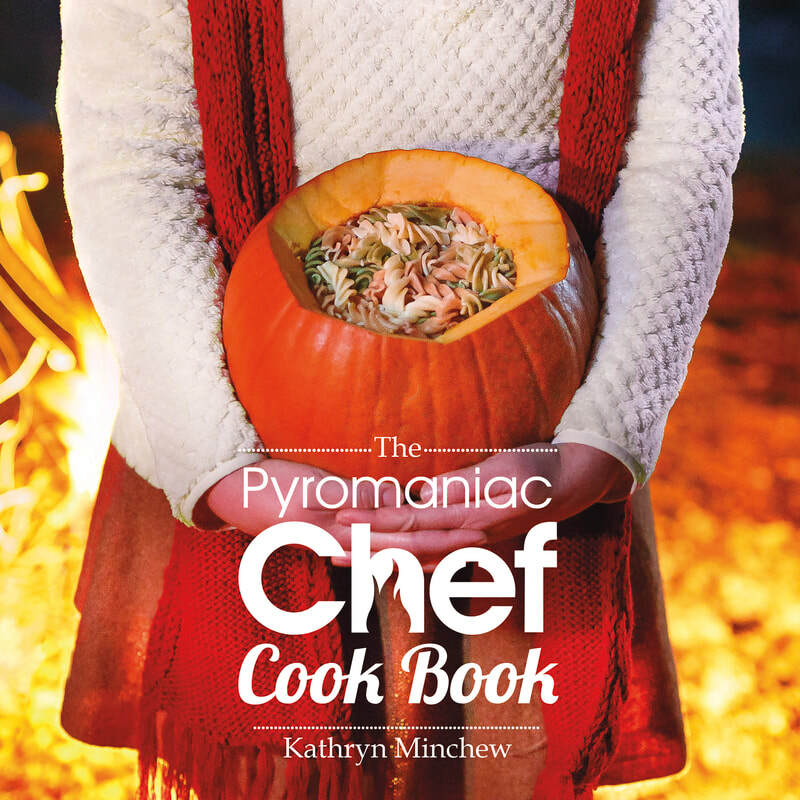 I had recently spent a week where everything I ate I cooked on the firepit at the centre of the hut (yes, this was for a magazine story) and loved the experience, so Pyromaniac Chef emerged from that. After my temporary license ended and I realised the planner had manipulated me, I sought legal advice and began a fight to resolve the matter (i.e. get what I wanted). In the meantime, here I was calling myself a chef but I didn’t have a restaurant. My solution was to write a book. Get yourself a beautiful hardback book on Amazon and you are visible to the world including TV production companies. Of all the PR projects I have done (I consider my book a PR exercise as I never expected to make much money from it), this has resulted in the most excuses from people. As a side point, I don’t go around telling people how to run their businesses or achieve PR, they simply hear what I do then get defensive. I had no agent so I self-published. I had no money to self-publish so I crowdfunded. I had no audience to promote my crowdfunding project to so I lived and breathed the project, attending networking events, sending press releases and living on social media. Oh and my husband nearly died while I was doing that (he had an appendectomy the day after my launch party and because his appendix was necrotic he had a nasty bout of sepsis) which had a huge impact on my time and stress levels. I wanted a beautiful hardback book so I made that happen. I won stage one of my battle against the planners (I was granted a year to run the restaurant to see how it impacted on the area) and was soon back in business getting PR coverage and delivering meals. ​Admittedly I contracted an upper respiratory tract infection that led to a ride in an ambulance and an ongoing relationship with an inhaler in addition to the aforementioned autoimmune disease which is… ok, it’s a pain in the rear but you want to be on Primetime TV don’t you? Sacrifices need to be made and I never claimed it was easy. So there I am, wheezing my way through interviews (cooking over fire with ongoing chest problems has its challenges) when I get a call from Boomerang. The program was to be hosted by Michel Roux Jr and would feature hidden restaurants around the UK that were in cool and quirky locations off the beaten track. Naturally my first thought was to see if I recognised the voice but no, it didn’t sound like any of my friends winding me up. As it turned out, Gloucester Studio had been one of the restaurants on the wish list when the program was in initial development and was part of the pitch to Channel 4. Or at least that was what I was told and if anyone from Boomerang reads this and that wasn’t the case, please don’t break my heart by correcting me. We filmed on one of the hottest days of 2016 and just weeks before the episodes aired, I won the second part of my battle with the planners and Gloucester Studio was a full and permanent restaurant. The phone began ringing and thanks to the program still being on 4OD, I am still getting enquiries.